What is Lumbar Spinal Joint Dysfunction Syndrome? Lumbar area is the lower back area of the spine. Joint dysfunction means that the function of the joint is unhealthy. Syndrome refers to a group of signs and symptoms present together that are correlated with each other and often, with a particular disease or disorder. JDS or Lumbar Spinal Joint Dysfunction Syndrome is a complex disorder which presents with pain in the back and/or altered function. It may also be a complication of a structural or a musculoskeletal disorder. It implies that a segment of the spinal cord (that is, a joint which helps in movement) or its associated soft tissues are causing the pain. Function of a joint is to allow movement. But in the case of JDS, a joint dysfunction exists. Either the movement of the joint is restricted with too little movement (called hypo mobility), or moves excessively (called hypermobility). The problem that occurs more commonly and which is also easier to treat is hypo mobility of the spinal joints. There are usually two main causes of a joint that is hypo mobile. Tight muscles that cross the joint. This usually occurs in smaller deeper muscles of the lower back. Taut soft tissues surrounding the joints. This occurs as a result of buildup of fibrous adhesions. If these adhesions build up in joint capsules or ligaments, the movement of the joint is greatly compromised. 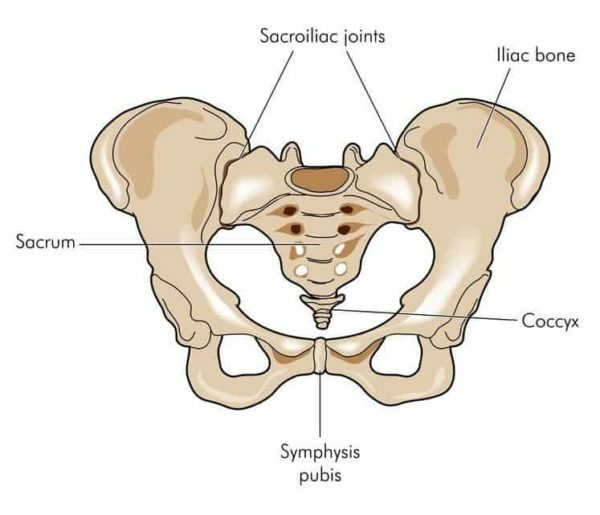 Two more less common causes which cause a joint to become hypo mobile include bone spur formation at joint margins, or presence of a meniscoid body in the joint space. Overstretching of a joint’s soft tissues, especially the capsule and ligaments. This will cause the joint to become unstable. Excessive joint movement also occurs in compensation for an adjacent hypo mobility. This is common in the spine because a number of joints are located next to each other. Joint dysfunction thus isn’t necessarily a problem of the entire lower back. It is more focused on a segment of the spine only which involves the problem area. Is Joint Dysfunction the same as Joint Misalignment? Misalignment is often used to denote a joint dysfunction by chiropractors or therapists. Misalignment of a joint means that the particular joint is out of place of its normal structural position among the spinal vertebrae. Joint dysfunction, on the other hand, indicates that the functional movement of the vertebrae at the spinal joints is not occurring properly. These are however related. A misaligned vertebra can occur due to tight musculature or fascial adhesions. These same tight muscles and adhesions may affect the movement of that vertebra, resulting in a hypo mobile joint dysfunction. Pain in the midline of the back. Pain may be referred down the legs. It can move down as far as the foot but usually does not extend below the knee. The location of the pain, its quality and how it is referred are not unique to only this diagnosis and are nonspecific. These symptoms are the same as of some other spinal conditions. Thus the only use of going to the doctor and giving a history is that any serious underlying conditions are ruled out. The doctor will also rule out any other neurological disorders that might be present. Joint dysfunction along with tight muscles usually occur together in any musculoskeletal condition. Because of this reason, massage therapists and chiropractors complement each other. If the condition is chronic (long term) and it usually results in the presence of fibrous adhesions, chiropractic manipulation is necessary. Other important techniques helpful in the treatment include massage, application of heat/ warmth on the problem area, and various stretching techniques to relax the tight muscles. Exercise can also be helpful in stretching the taut soft tissues associated with the problem joint. Hydrotherapies can also be used to loosen the tight muscles and tissues.